National Drug-Free Work Week, a U.S. Department of Labor-sponsored event is taking place October 17-22, 2011. 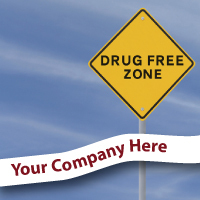 The purpose of Drug-Free Work Week is to educate employers, employees and the general public about the importance of being drug-free as an essential component of a safe and healthful workplace. Now in its third year, the annual campaign is a collaborative effort between the Labor Department, members of its Drug-Free Workplace Alliance and other public and private-sector organizations devoted safe and healthy workplaces. However, all employers and employees are encouraged to participate. Throughout Drug-Free Work Week, organizations will conduct various activities to help employers, supervisors and workers understand how to implement effective drug-free workplace programs that focus on detection and deterrence while also offering assistance and support for workers who may have problems with alcohol or drugs. The themes of Drug-Free Work Week have widespread relevance, according to a survey conducted by the Hazelden Foundation, a national nonprofit organization that helps people reclaim their lives from the disease of addiction. The Hazelden research found that while most human resources practitioners recognize substance abuse and addiction as among the most serious problems faced in today’s workplace, few companies proactively address these issues with their employees. In observance of Drug-Free Work Week, organizations will be engaging in a variety of activities to educate its employees, supervisors, and members on the merits of a drug-free workplace. Employers and employees in all industries can learn more about how to participate in Drug-Free Work Week and ways they can promote drug-free workplace messages — during the campaign and throughout the year — by visiting the Labor Department’s Working Partners for an Alcohol- and Drug-Free Workplace Web site at www.dol.gov/workingpartners. Peace of Mind Drug and Background Screening is also here to help in those efforts.